On one hand, Kapil Sharma is gaining headlines through his show ‘The Kapil Sharma Show’ on television, on the other hand, he is meeting with big leaders. 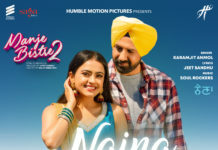 Recently he had met Prime Minister the country Narendra Modi during a program in Mumbai. Now Kapil Sharma has met the former Prime Minister of India, Dr Manmohan Singh. People were putting different kinds of speculation about this meeting though Kapil has told the whole truth about this meeting. Kapil shared a post on his social media after meeting with the former prime minister. Kapil wrote, ‘Thank you Dr Manmohan Singhji for the excellent hospitality and conversation about the Amritsar route from hearts to hearts. Especially for our food and conversation about college. It was a matter of pride to meet such a decent, straight and gentle politician and to get the blessings of MAMA. 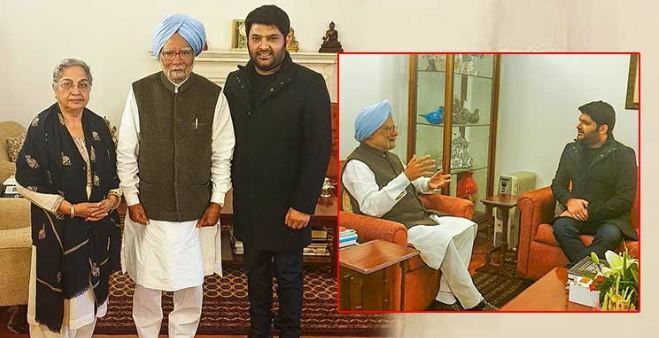 With this post, Kapil Sharma shared two photos in which he is seen with Dr Manmohan Singh and his wife. On this post of Kapil, social media users are jokingly joking about him and asking Kapil that he had made many jokes on Dr Manmohan Singh, apologized to him or not? Recently, Kapil Sharma apologized to PM Modi for his tweet. Kapil also tagged Prime Minister Narendra Modi in a tweet against corruption in 2016. At that time, Kapil Sharma had said through a tweet that he would pay a tax of Rs 15 crore to the government every year, even though he would have to pay Rs 5 lakh to the BMC for his office in Mumbai. Is this your good day? There was a fierce ruckus after this tweet.